Yesterday we launched the VMware Cloud on AWS service. VMware Cloud on AWS allows you to run your applications across private, public, and hybrid cloud environments based on VMware vSphere, with optimized access to AWS services. 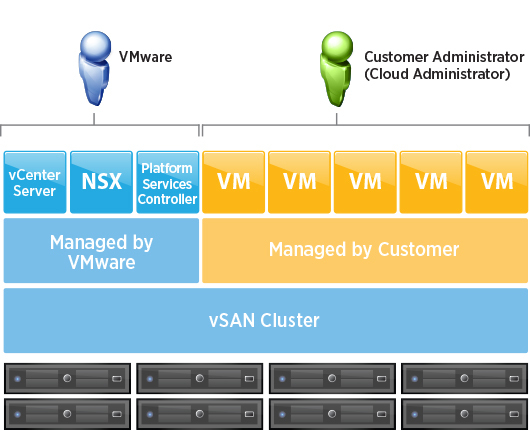 The Cloud SDDC consists of vSphere, NSX and vSAN technology to provide you a familiar environment which can be managed an operated with your current tool and skill set. By leveraging bare-metal AWS infrastructure the Cloud SDDC can scale in an unprecedented way. VMware Cloud on AWS is a service and that means that we will not using product versions when we refer to the service. Instead we will be calling the first release the initial availability of the service. Any release after is referred to as future release. 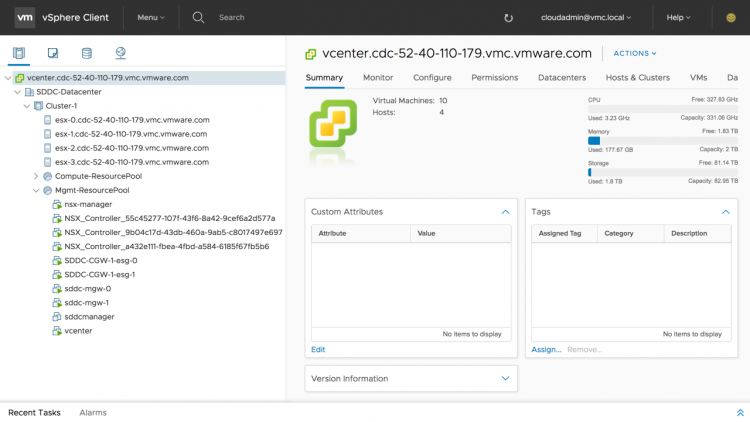 VMware Cloud on AWS is operated by VMware. In short that means that VMware is responsible for providing infrastructure resources, the customer is responsible for consuming the resources. This article explores the resource capacity of the Cloud SDDC at initial availability. vSphere DRS and vSphere HA are enabled and are configured to provide the best availability and resource utilization. vSphere DRS is full automated and the migration threshold is set to the default vSphere DRS level to avoid excessive vSphere vMotion operations. High availability of cluster resources is provided by vSphere HA and Auto remediation hardware. vSphere High Availability is used to guarantee enough resources for restarting VMs during an ESXi host failure. The ESXi hosts are monitored and in the event of a failure, the VMs on a failed host are restarted on alternative ESXi hosts in the cluster. To maximize productivity while minimizing overhead, the vSphere HA settings of the cluster is configured to tolerate the equivalent of one ESXi host failure (25% percentage-based admission control policy). The host isolation response is set to power off and restart the VMs. At initial availability, the Cloud SDDC is restricted to a single AWS region and availability zone (AZ). Failed hardware can be automatically detected, and automated remediation enables failed host to be automatically replaced by other ESXi hosts. 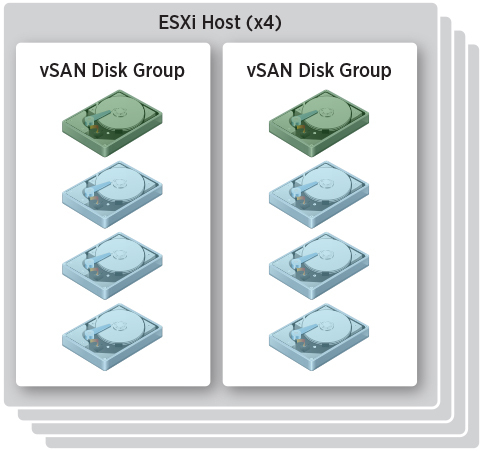 If necessary the VSAN datastore is automatically rebuilt without user intervention. 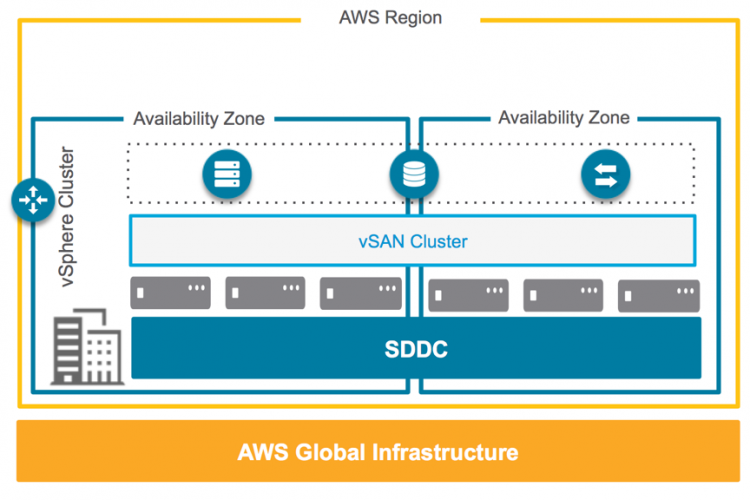 In future VMware Cloud on AWS releases, through the partnership of VMware and AWS, multi-AZ availability will be possible for the first time ever, by stretching the cluster across two AZs in the same region. With this groundbreaking offering, refactoring of traditional applications will no longer be required to obtain high availability on the AWS infrastructure. Instead, synchronous write replication will be leveraged across AZs, resulting in a recovery point objective (RPO) of zero and a recovery time objective (RTO) that depends on the vSphere HA restart. VMware Cloud on AWS is built around NSX. It’s optimized to provide VM networking in the Cloud SDDC, while abstracting the Amazon Virtual Private Cloud (VPC) networks. It enables ease of management by providing logical networks to VMs and automatically connecting new hosts to logical and VMkernel networks as clusters are scaled out. At initial availability, users connect to VMware Cloud on AWS via a layer 3 VPN connection. Future releases of VMware Cloud on AWS, however, will support AWS Direct Connect and allow cross-cloud vSphere vMotion operations. Yo dawg! I heard you like virtualization, so we put virtualization in your virtualization, so that you can virtualize while you virtualize! Yo Dawg, read again, it’s a vSphere hypervisor running on bare metal servers. Frank, as far as I understand, in terms of NSX, we talk about NSX-T and not NSX-v, right? Great write-up Frank. Thank you. Thanks Frank, what a great summary of the new offering. In the future releases when cross AZ clusters become available will this impact egress charges for native AWS services? Have you calculated the cost of running a datacenter? Don’t compare a bare metal server and some licenses with this.